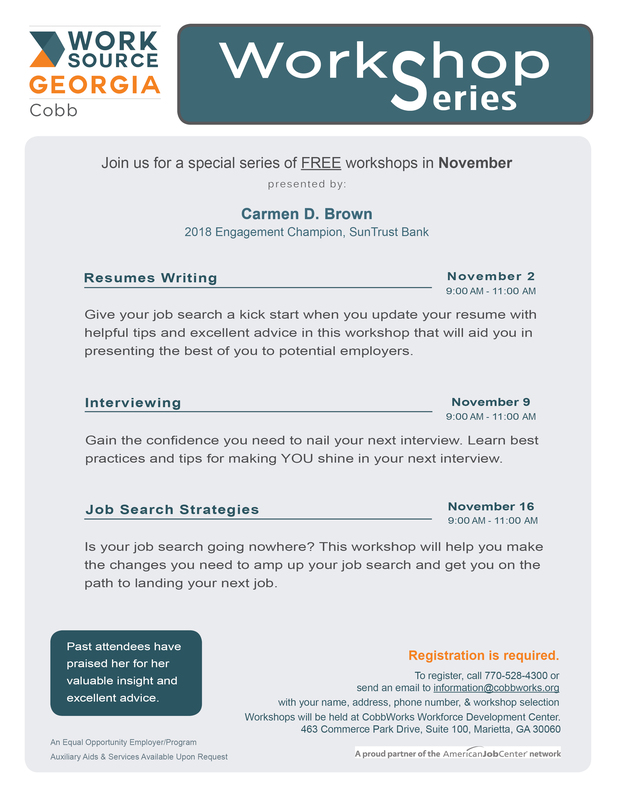 Carmen Brown with SunTrust Bank will give you some practical strategies you can use to amp up your job search. Register today to reserve your spot. Space is limited.